I was lucky enough to have an exhibition of my work at Cuchifritos in New York City. The show was called Marcy Freedman, Marcy Freedman, because it included my work and the work of another artist named Marcy Freedman. 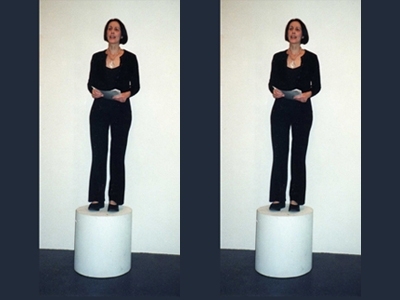 In conjunction with my exhibition, I presented a performance in which I gave a “mock” art history lecture about the artwork of the other Marcy Freedman.